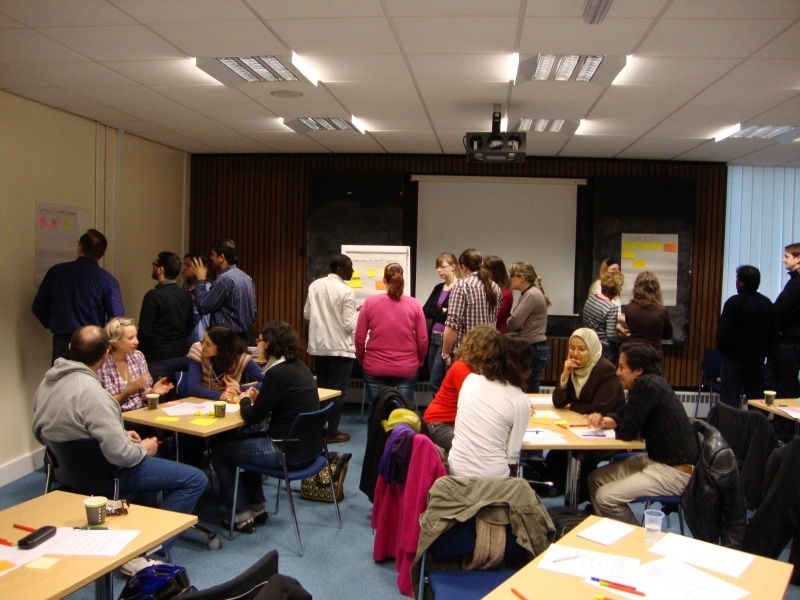 I regularly deliver original skills training sessions to researchers at UK universities. I have several that I offer “off the shelf”, and am happy to talk to you about bespoke learning experiences for your researchers’ needs. Viva Survivor: intensive viva preparation for final year PhD students. How To Work With Your Supervisor: top tips and practical advice. Creativity for Researchers: idea generation and creative environments for all. Plan Your PhD: step-by-step techniques for planning research. Plan Your Final Year: help to reach submission on time and happy. Research Essentials: a day of exploring the important skills for research success. Creative Thinking & Problem Solving: tools, techniques and processes for solving problems creatively. Be a Productive PhD: planning and productivity for postgraduate researchers. For more details on any of these courses, to check my availability, or to tell me about an interesting challenge I might be able to help with, please contact me.